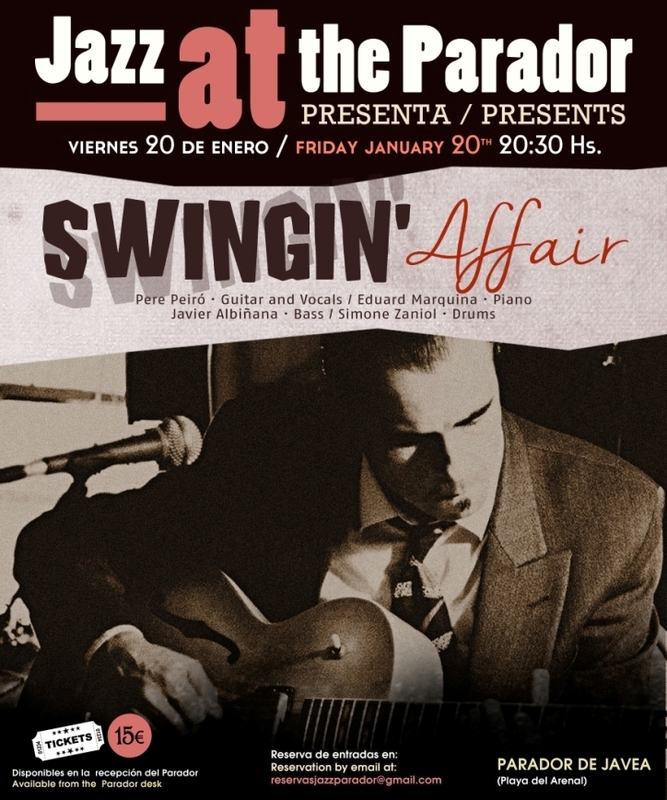 Into the Cicle “JAZZ AT THE PARADOR”, on Friday January 20th at the Parador of Javea located in Arenal Beach, concert at 08’30 pm by the Swing band SWINGIN’ AFFAIR. With the name, Swingin’ Affair, is how the musician and singer Pere Peiró names his project, formed by Eduard Marquina on the piano, Javier Albiñana on bass, Simone Zaniol on the drums, and Pere on vocals and guitar. A repertoire that covers themes from the 20s to the 40s, will make that this band transport us to another era, with a live show full of magic and complicity among its members.